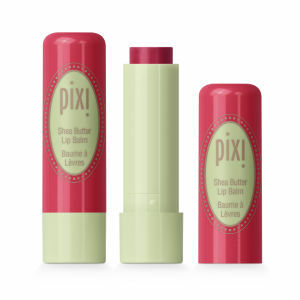 Gently remove even waterproof make-up with these PIXI Makeup Melting Cleansing Cloths. The make-up wipes are pre-moistened and gently dissolve impurities and make-up from the day. Perfect for on-the-go use. Infused with Chamomile and Grape Seed Oil, each cloth calms the skin, leaving it clean and balanced. – E.W. Remove cloth from package and wipe across face and neck to remove makeup. No rinsing is needed. Reseal lid to keep cloths fresh. Aqua, Glycerin, Chamomilla Recutita (Matricaria) Flower Extract, Aloe Barbadensis Leaf Juice/Maltodextrin, Camellia Japonica Seed Oil, Vitis Vinifera (Grape) Seed Oil, Olive Oil Peg-7 Esters, Decyl Glucoside, Tocopheryl Acetate, Phenoxyethanol, Benzoic Acid, Dehydroacetic Acid, Polyaminopropyl Biguanide, Parfum. The Pixie cleansing cloths are very good at removing makeup with a subtle fragrance, without any nasty ingredients. I've used many other brands but found Pixie cleansing cloths the best.